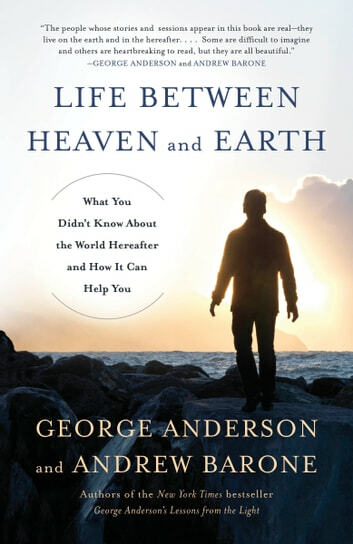 A very thought provoking read that will leave you feeling a renewed faith that your loved ones are truly in a better place and that you will be reunited. George Anderson has a wonderful gift. I have held the belief that we plan our lives before we ever get to earth. There are lessons we must learn while we are here. Though why I chose my particular life, I will never know! I can only hope I've learned my lessons because when I leave earth, I never want to return. I didn't know how real families acted till I became an adult. I have tried to make a happy family with what I have learned over the years. Did I make mistakes? You bet I did. I just hope my family forgives me and knows I love them very much! This book will ease your mind about the next dimension. I will leave you skeptics something to think about...our souls are our life force; Our energy. Energy never dies, it just changes form. Thank you Mr. Anderson for this book. I needed it. A bit repetative but otherwise intreaging and satisfying.